With 4 locations on Oahu, Cutter Family Auto offers you Chrysler, Jeep, Dodge, Ram, Fiat, Mazda, Buick and GMC, all with Cutter Certified pre-owned vehicles by other top manufacturers. Our sales staff is standing by to assist you in finding your new or pre-owned vehicle today. 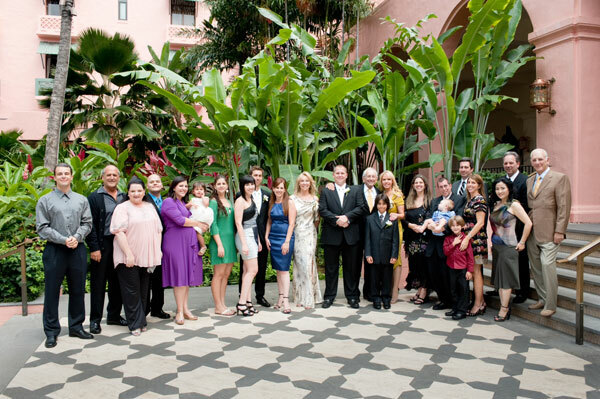 For years our highly trained financial staff has been offering expert advice to the people of Hawaii. Our licensed financial advisors are standing by to assist your auto finance needs. Our service doesn’t stop there! At Cutter Family Auto Centers you can take advantage of our knowledge and factory certified service and parts staff. We offer state of the art equipment and the largest parts inventory in the state. 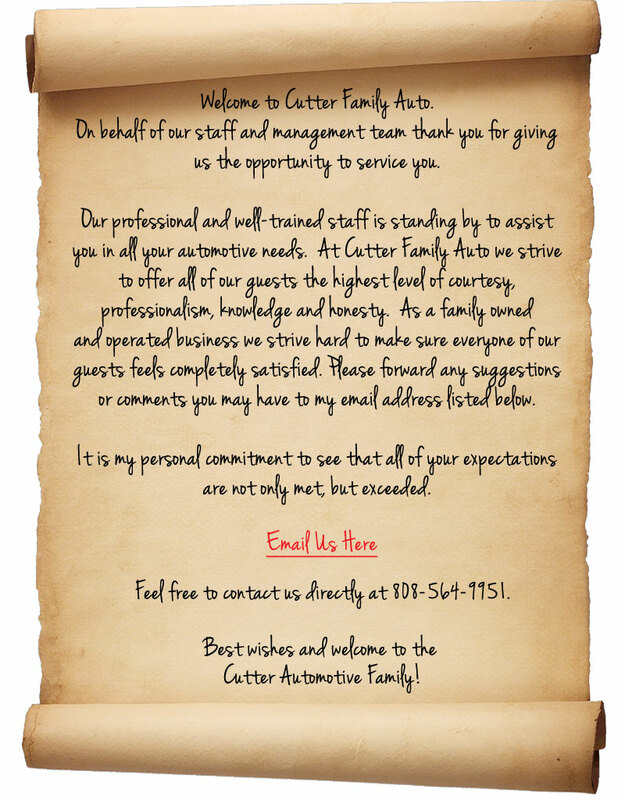 Staying true to Cutter Family Auto’s commitment to our guests we also offer the first of its kind Cutter Family Auto Training Academy. Our Training Academy offers state of the art training for all our sales, service, parts and customer relations staff. You can reach Cutter Family Auto Centers by filling out our contact form, calling our main line at 808-564-9900 or simply stop by any one of our four locations.